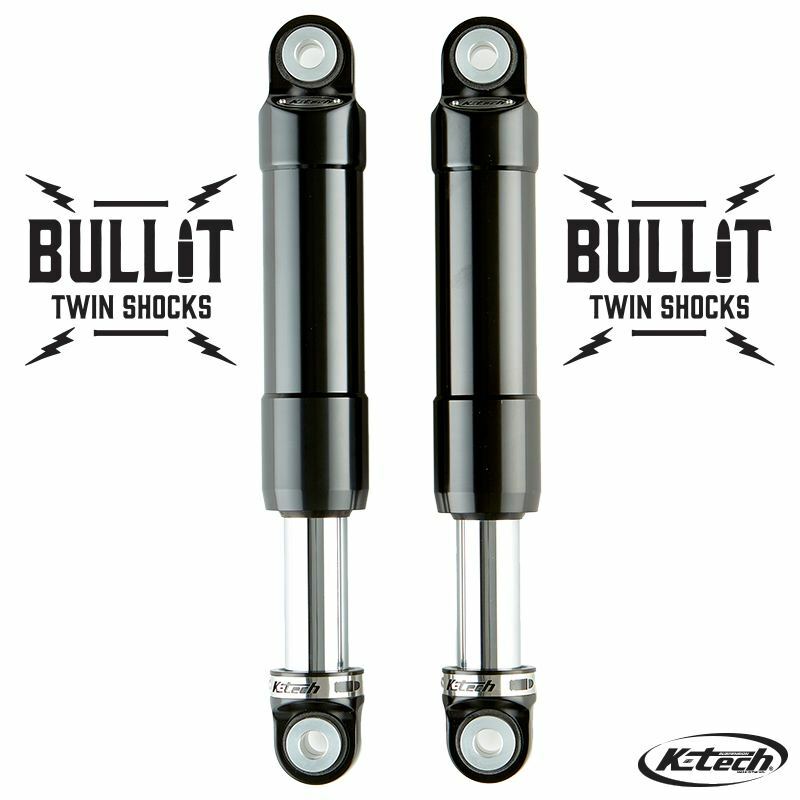 The K-Tech Bullit is a new innovative shock absorber that incorporates the latest damping technology along with keeping the original look familiar with the custom bike owner. The unique spring less design allows for a classic "strut" type look without compromising on ride quality. This high technology shock absorber is nitrogen charged to give constant damping control under all riding conditions. The Bullit shocks work exceptionally well in shorter stroke applications to eliminate bottoming.